Booking an eye exam at eye-bar optometry is easy with our online booking software. Unlike other optometry offices, our online booking software gives you total control. 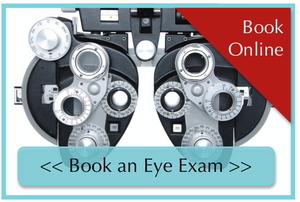 You’re not simply requesting an eye exam time, but actually booking one. 2. Pick your favorite eye-bar optometrist. 5. Read the common eye exam questions at the bottom of the page, so you arrive prepared. 6. Show up for your appointment. So go ahead and book your next eye exam at eye-bar optometry using our online booking software. See you soon!